The avalanche of medical studies reporting that drinking coffee reduces the risk of Type 2 diabetes just grew by one. A new study from the European Science Foundation found that three to four cups a day cuts diabetes risk by 25%. The findings were just presented at the 2012 World Congress on Prevention of Diabetes and Its Complications in Madrid. The report’s authors believe that there is little doubt that coffee is linked to diabetes prevention. The 25% reduced risk from three or four cups is in comparison to drinking less than two cups a day or none at all. Another study also found that each additional cup of coffee may reduce your risk by another seven percent. One other recent study suggested that two natural chemicals in coffee—chlorogenic acid and trigonelline—successfully reduced early glucose and insulin responses, which fight the development of diabetes. The report says that the benefits of coffee are often negated, because it is frequently paired with unhealthy habits, like smoking and low exercise. Many people believe coffee to be unhealthy, but it isn’t. Of course, adding cream and sugar can also add calories and fat. There is a widespread belief that coffee can make high blood pressure worse, but, in patients with heart disease, drinking moderate amounts of coffee has actually protected against heart failure. The most recent study linked what they called the “Energy Expenditure Hypothesis” to coffee’s effect on diabetes. 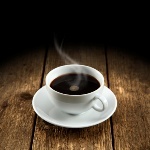 This hypothesis suggests that the caffeine in coffee stimulates metabolism and helps burn energy. Also, the “Carbohydrate Metabolic Hypothesis” posits that ingredients in coffee influence the body’s glucose balance. There is no shortage of other theories trying to explain how coffee improves insulin sensitivity. There is considerable evidence now that coffee belongs in the category of healing foods. “Moderate coffee consumption may reduce risk of diabetes by up to 25 percent,” European Science Foundation, December 4, 2012.